Red Co Classic Photo Album This stunning photo album features a unique mixed-pocket page layout, allowing you to place two vertical photos and three horizontal photos together to create a truly wonderful visual effect! Made of high quality materials, including archival-safe, PVC-free plastic, this is a perfect album for storing and displaying your life-long memories. 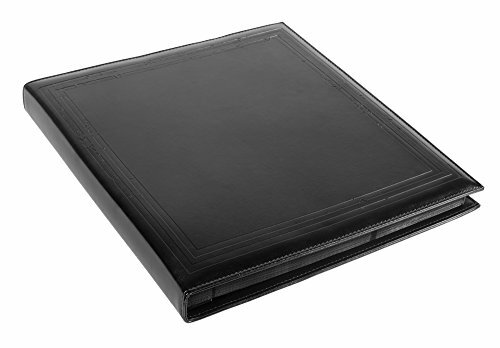 The cover is made of soft faux leather and is very soft, supple, and pleasant to touch. It has 100 pages (50 sheets) and holds 500 4" x 6" photos. If you have any questions about this product by Red Co., contact us by completing and submitting the form below. If you are looking for a specif part number, please include it with your message. Baby Boy's First Photo Album of Family & Friends - Holds 15 Photos!